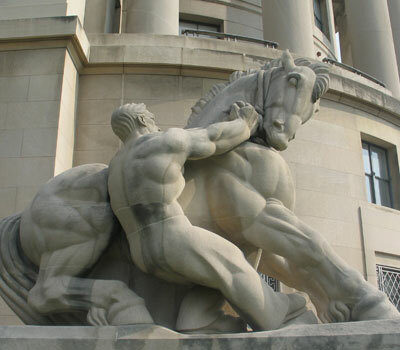 Commissioner Julie Brill of the Federal Trade Commission (FTC) offered some interesting year-end thoughts on abusive litigation by patent-assertion entities (“PAE”, or to some, “patent trolls”) in a speech last week. Most notable in Commissioner Brill’s comments was her call for legislative change even as FTC and the federal courts are addressing some of the legal and economic incentives for abusive patent litigation. Brill discussed the Commission’s ongoing study of patent-assertion entities (the so-called 6(b) study), for which a final report is anticipated by the end of 2015. She emphasized that one of the issues FTC is assessing is the practice of “privateering,” where an operating company sells or licenses a patent to an assertion entity, which in turn enforces the patent against the operating entity’s market rivals. A May 2014 Washington Legal Foundation Web Seminar, Patent Assertion and “Privateering”: When Do Antitrust Law Concerns Arise When the Patent Is the Product?, focused on this practice. The speech also referenced the Commission’s first enforcement action against a patent-assertion entity, which resulted in a November 13 consent decree. The action involved notorious “scanner troll” MPHJ, which sent thousands of licensing demand letters that threatened litigation unless the target business paid MPHJ upwards of $1,000 per employee. FTC charged that MPHJ had fraudulently asserted that it had entered into licenses with some of its targets, and falsely claimed that litigation was imminent. Commissioner Brill went on to stress the impact several 2014 Supreme Court decisions had on the larger patent-assertion problem. She focused on the indefinite nature of many PAE-held patents, an issue that the Court addressed in Nautilus Inc. v. Biosig Instruments, Inc.; the tendency of PAEs to “pass off old abstract ideas as inventions merely by implementing them using a computer,” which arose in Alice Corp. Pty. Ltd. v. CLS Bank Int’l; and the difficulty patent defendants had in seeking attorneys’ fees when they prevailed in court against PAEs, which the justices addressed in Octane Fitness, LLC v. Icon Health & Fitness, Inc. and Highmark v. Allcare Health Mngt. Systems, Inc.
She then stated that “despite these recent cases, there are still important issues for Congress to address.” We were pleased to see that among the areas Commissioner Brill highlighted as meriting continued congressional attention was that patent “complaints [must] provide specific allegations of what infringes a patent’s claim and how the defendant infringes them.” The current pleading standard, governed by the antiquated form (Form 18) Federal Rule of Civil Procedure 84 dictates for patent suits, encourages frivolous litigation, as we’ve argued previously. It is unclear what lies ahead for patent litigation reform in the 114th Congress. But one can trust that with so much at stake, Senators and Representatives will heed Commissioner Brill’s admonition that Congress not “wait for completion of our 6(b) study” to move the debate forward.